Today we're going to be talking about how to use logmein to log into your computer. This particular post is not going to discuss how to set up an account and install the software. We are assuming you have that already setup. So here we go. 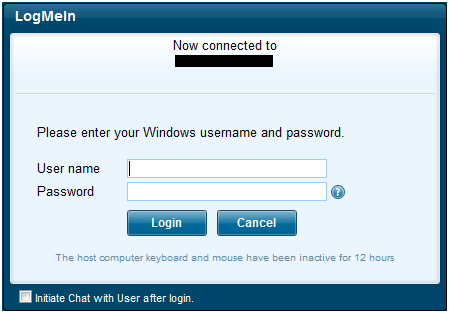 Step 1: Go to Logmein.com and put in your user name (email address) and password. 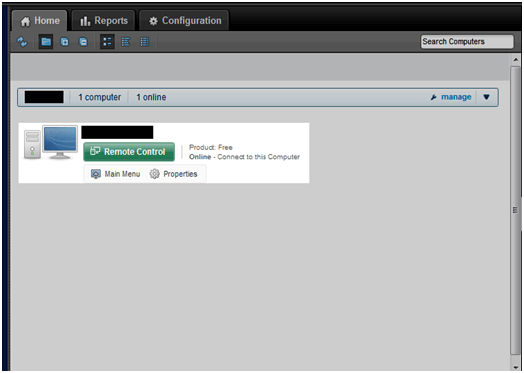 � Step 2: Once in locate the computer you want and click on Remote Control. 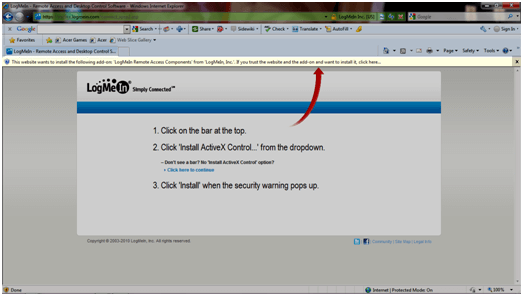 Step 3: If this is your first time on this computer then it will require that you click on a yellow bar to install the ActiveX plug-in. It may prompt you a couple of times for this. If you have problems click the link in the middle of the page to do it manually. When you click the bar you will want to choose Install This Add-on for All Users on This Computer Step 4: Enter in your user name and password. 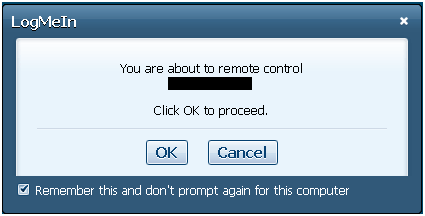 Step 5: Click on Remote Control Step 6: Click OK and you're in simple as that.